Deals, Uh, Find a Way. Own the First Four Jurassic Park Films For $17. Need to get caught up before you see Jurassic World: Fallen Kingdom? 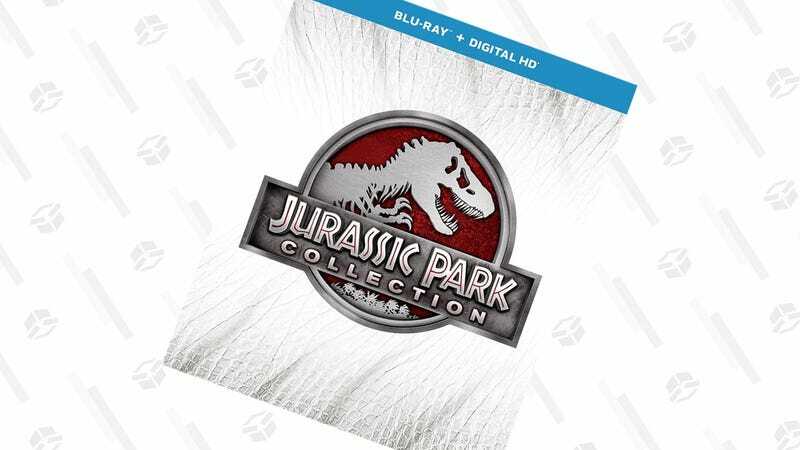 All four films (including the semi-recent Jurassic World) are down to just $17 in one awesome Blu-ray set, complete with two discs full of bonus features, and even digital copies.